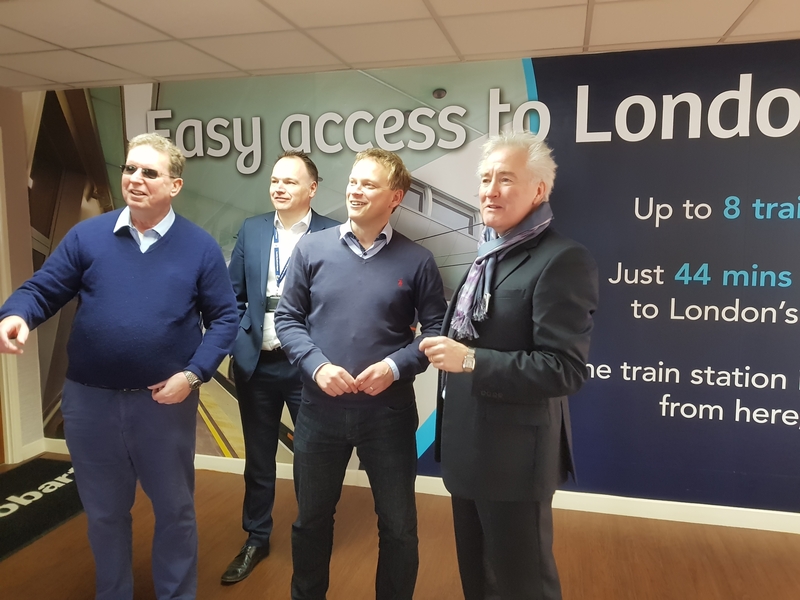 The All-Party Parliamentary Group (APPG) on General Aviation visited London Southend Airport to meet with Stobart Aviation Chief Executive Glyn Jones, and discuss how General Aviation fits in to this rapidly expanding airport. Stobart Aviation, part of Stobart Group, owns and operates Southend Airport as well as Carlisle Lake District Airport. The Parliamentary Group were updated on Southend’s plans for expansion and its ambitious targets for passenger growth over the coming years. The airport has grown and in 2015 the area around Southend became ‘controlled’ Class D airspace. The all-party group were keen to discuss how Southend plans to continue to allow General Aviation traffic within the control zone. Linked to this is the availability of properly trained and qualified Air Traffic Controllers, and the all-party group was concerned to hear that supply of training courses is not currently meeting UK demand. Grant Shapps MP, Chair of the Parliamentary Group, said: “This visit to London Southend Airport was fascinating, and it’s clear that Stobart Aviation take a very entrepreneurial approach towards running the airport. I believe this is a fantastic example for other airports around the country. “Jobs and skills with at the forefront of our conversation with one of the main concerns being a shortage of UK training courses for the Air Traffic Controllers. In addition to ensuring commercial traffic expansion, it’s vital that control towers are adequately staffed so that there is capacity to allow General Aviation traffic to transit safely. We will be taking these concerns to colleagues in Government.